'You, The Loo, And Nappy-Nappy Noos' premiered at Brighton Fringe Festival at The Warren (Otherplace Productions) on the 18th, 19th and 20th of May, with a final performance on the 3rd of June. All performances were SOLD OUT! When speaking with grown-ups about their anxious children, especially those with sensory processing difficulties, we often hear how difficult using public toilets can be. This, coupled with the general anxieties that toilet training young children can bring, and the well-documented rise in the number of 4 and 5 year olds starting school without basic self-care and toileting skills, got us thinking...why don't we tackle this in the best way we know how and use multi-sensory theatre! The toilet can seem like such an alien concept, so why not treat it like one! 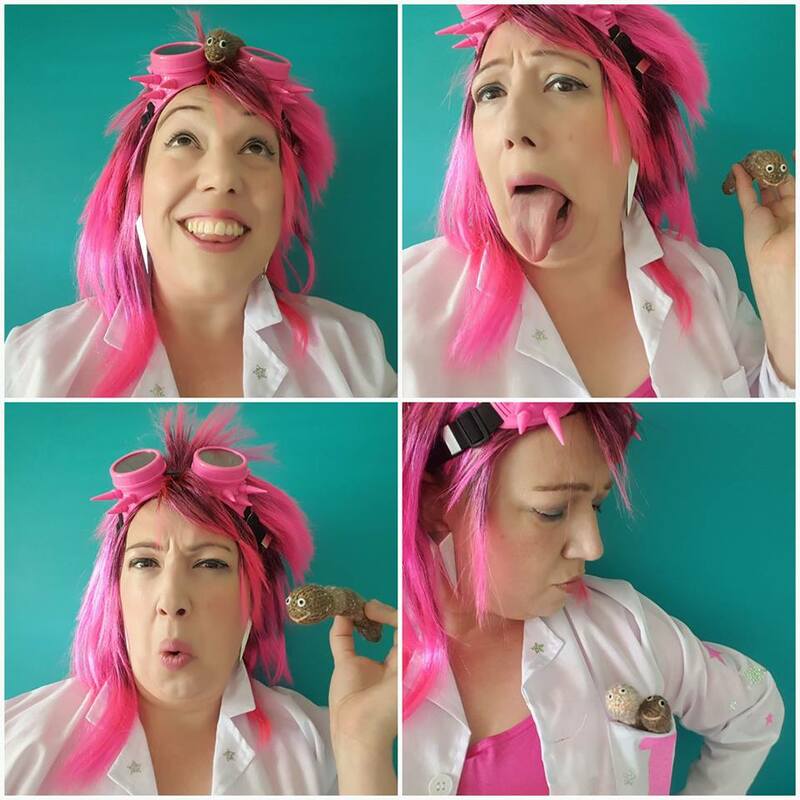 'You, The Loo, And Nappy-Nappy Noos' is the story of a little alien visiting Earth and getting to grips with the most basic of life skills with the help of a scientist who thinks she's a rock star! Co-produced with Ellie from Early Years SEN, this little show will help children understand what going to the toilet is, how to cope with all the component parts of a toilet visit, and hygiene. We will help children have positive encounters with flushes, hand dryers, hand washing and wiping, to learn good strategies, minimise anxiety, and to support parents/carers and professionals in their mission towards supporting children's continence. We use an 80s rock sound track of classic anthems reworked with new lyrics to provide an empowering, funny and feel-good sound to help get everyone into the right frame of mind for tackling toileting positively, and to help children and their grown-ups remember key concepts and information. The 80s factor may not seem relevant to all communities and audiences, however it enables us to provide a strong visual image and identity for our characters, keeps things looking 'hyper-real' so young children are able to differentiate between what's real and what isn't, and for the simple fact that the choruses are ridiculously catchy! We can get across neat, bite-sized, frank and funny information in a really positive way using these tracks e.g. Please, please, keep them sweet! Singin': I love toilet roll! Have a listen to 'I Love Toilet Roll' - based on 'I Love Rock & Roll' by Joan Jett - and 'Wash Your Hands, Keep Clean' - based on 'Pour Some Sugar On Me' by Def Leppard for more of a flavour. The whole performance, plus songs, are signed in Makaton/Early Sign. 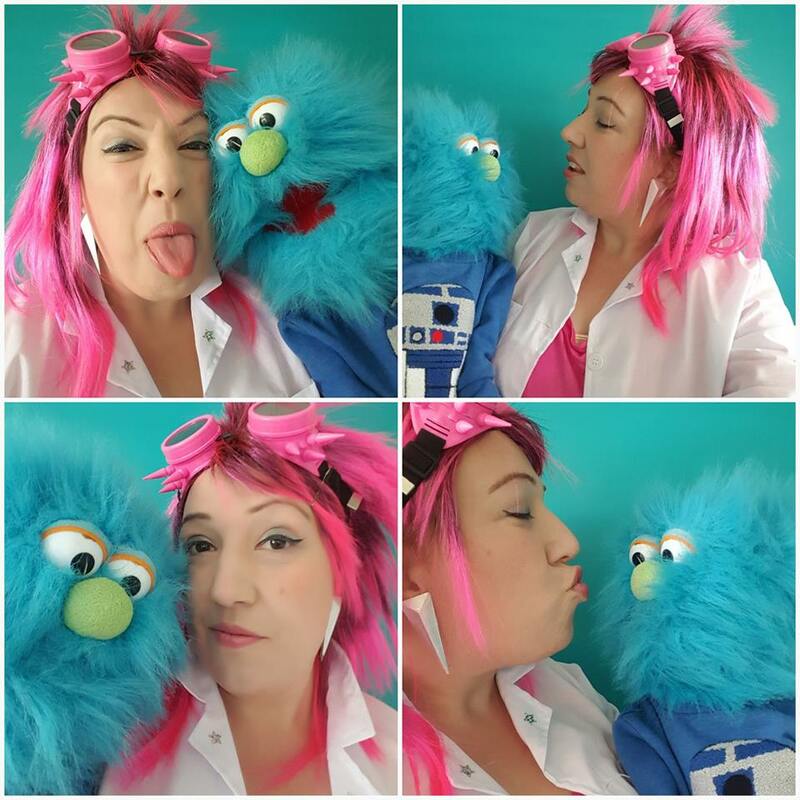 We use our puppet alien - Gil only has four fingers and non-posable hands - to show how signs can look when children's dexterity or speech isn't clear; we want to illustrate that signing doesn't have to look perfect to be an effective way to communicate needs. The expressive use of signs for toilets, poo, wee, hand washing, etc, also helps to take some of the taboo out of speaking about going to the loo. It's a natural stage of development for young children to find everything about going to the loo very funny and a bit 'naughty', however we work with this and support children and grown-ups in finding a fun and comfortable level of amusement, and towards being able to have frank and open conversations about bodies, body fluids, noises, and worries without everything descending into giggles! Humour is great for breaking down barriers, but we have to make sure that humour isn't actually masking good communication. 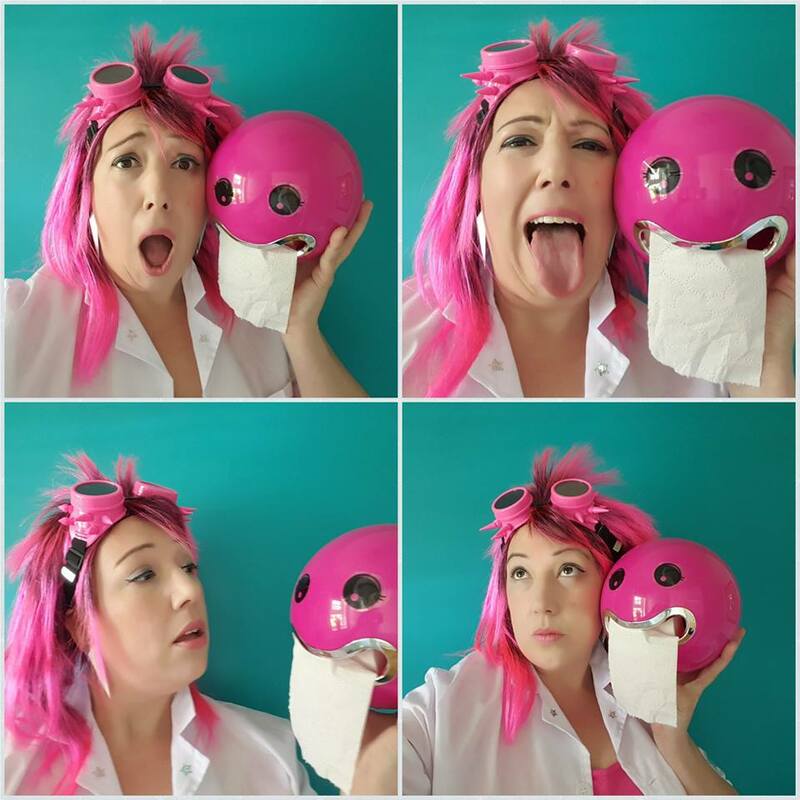 'You, The Loo, And Nappy-Nappy Noos' is a versatile piece of theatre that can be performed in bathrooms in the home, bathrooms in early years or school settings, or virtually anywhere - we'll even bring our own toilet! We have two different versions: a core model for Under 4s, especially those who are getting ready for potty training and are just developing self-care; and an enhanced model for older children where we step up the science and language, focusing on skills and confidence to support better self-care and social behaviour both at home and in public. Depending on the model required, we deliver an interactive performance using games and exercises, live science experiments, songs and hand-washing demos using lots of lovely smelly soaps! We want to offer families the opportunity to have a performance at home in order to make it as accessible and relevant as possible for children who are really struggling to feel okay with going to the loo; some children with autistic spectrum conditions can find it really difficult due to anxiety and/or sensory processing issues which can lead to all sorts of health problems, so providing positive, playful, and imaginative exploration of a familiar bathroom can help. This way of working also makes it possible for parents to organise 'Nappy' gatherings for small groups of children getting ready to transition out of nappies; we arrive and perform a small show at someone's house, followed by the sort of stay-and-play session so many parents organise regularly with friends. We can offer a whole-group performance in any reasonable space - a room, a hall, even outdoors in good weather - and then provide small group immersive visits into your setting's toilets so we can support children and grown-ups in applying their learning straight away: how does your hand dryer sound? Do your toilets have any quirks to get them to flush properly? It's also a great opportunity to look at your school toilets in a new way and consider ways they could be improved to support children's confidence, hygiene and wellbeing. Performances can also be culturally differentiated to widen access for communities where children may be brought up to wash instead of wipe, and to ensure messages about how to sit on the toilet are passed on; some communities prefer children to stand on the toilet seat and squat, which can result in poo and wee going on the floor, slips, trips, falls, and broken toilets! We can help reinforce a message that going to the toilet at school involves sitting down and being safe. Additionally, if you're having any specific difficulties with a group or cohort around bathroom behaviour, for example where toilets are regularly blocked with too much paper, then talk to us about that - we can address this for you in both the performance and the group sessions afterwards. If your toilets are big enough we can site the whole show in them making a fun and funky - not to mention surprising - addition to your programming! Daytime performances are popular for stay-at-home parents, plus group-bookings from early years settings and schools are also popular, and won't interfere with your evening performances either. If your toilets are on the smaller side, we can use any suitable space instead - a foyer or bar area, etc, as long as it's close to your toilets - and visit them in smaller groups on rotation; we will provide sensory play in the main space for those waiting for their turn. These performances can be great for audience and/or community development, especially for families with young children or those with special needs, so it's a good opportunity to flag up your season's programming and any other activities, such as summer schools, tours, etc, at the same time. Dealing with bodily functions and body parts can feel awkward and difficult, however we use our many years of experience to help everyone in our audience have frank and confident conversations with no question off-limits; this is a great opportunity to introduce aspects of safeguarding, such as the NSPCC's Let's Talk Pants campaign too. We take children's wellbeing and safety very seriously, and have designed the production to ensure it is both age and developmentally appropriate, and so that we can tailor material to be able to differentiate effectively for a wide range of needs. Apart from hand washing, which is a lovely tactile thing to do, anything relating to wiping or common toilet problems will be explored in a 'one step removed' way; we will provide games and resources that enable children to practice their skills away from their own bodies, or any other figurative bodies, and work on transferable skill development that can be translated into personal care in private or with support from a care-giver. Our key mission is to help children transition out of nappies with confidence, and to feel safe and in control of their continence wherever they go. We also want to support grown-ups too: toilet training can be immensely stressful and frustrating, so learning strategies for managing through any bumpy patches is really important as well. 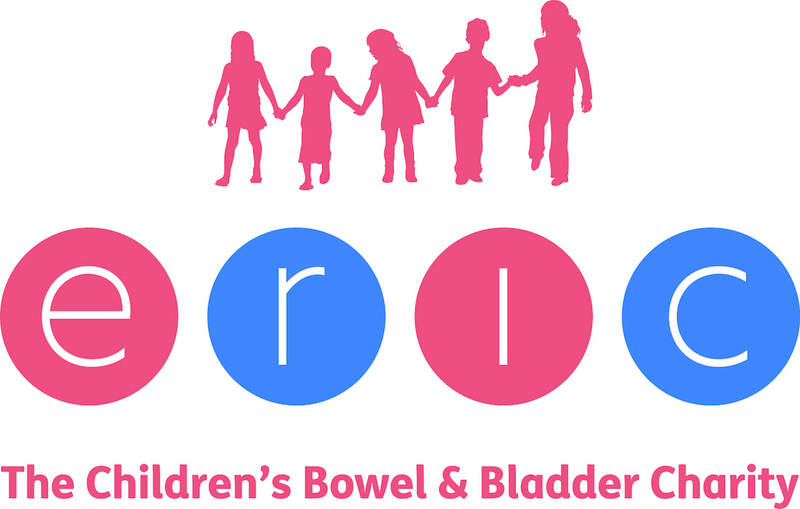 This production has been developed in partnership with children's bowel and bladder health charity ERIC to embed current best practice information on potty training, toileting and healthy digestion into the production. We also signpost our audiences to their resources, including their brilliant helpline, following performances and offering their leaflets too. ​Along the way, we've been very fortunate to have had some very generous advice and guidance from System Hygiene. Their marketing team has always been on hand to help us work out which 'big' products - from hand dryers to toilets - would be best for our needs, and they've even scoured their warehouse and made enquiries with their suppliers to try and source us an old fashioned plug-in hand dryer...albeit with not much luck. Thankfully, another company, Biodrier, has come to our rescue with their wonderful BioBot model. This little guy is not only specifically for children and offers a quiter, friendlier, hand dryer experience, but every child gets to take home their own BioBot model to make after the show so they can practice their new skills afterwards!